The average cryptocurrency user trades or holds assets on around 4 to 5 different digital currency exchanges and wallets simultaneously. Thus, keeping track records for tax purposes becomes increasingly difficult. In most European countries such as Germany, France and the United Kingdom, capital gains from cryptocurrency trading, mining, airdrops and forks are taxable and must be reported to the authorities. Founded in 2017 by Florian Wimmer, Blockpit makes crypto tax reporting easy for everyone. His team and he are closely collaborating with tax experts from one of the world’s Big Four auditors, KPMG. 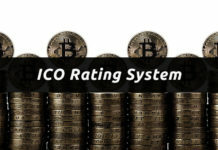 They are set out to develop a web-based application which should become the European standard for automated crypto tax reporting. Subsequently, they will be tackling jurisdictions all over the world. The vision is to allow Blockpit’s users to automatically combine all their trades, wallets, mining rewards and other incomes such as airdrops into one dashboard. The dashboard provides a clear overview on what was realized in gains to report to tax authorities. Unify your monitoring: Combine all your trades, wallets, mining rewards and other income into one dashboard. Get a real-time overview of your portfolio development, holdings and information on taxable profits, speculative periods and more. Avoid Financial Fraud: Have a clear overview on what you really have to report to the authorities of your country. Get a tax report from your complete transaction history, which is legally approved by one of our partners. Alerts and Hints: Set alerts for certain events, like value change of a coin, milestones in your portfolio or upcoming forks. You can also enable “tax hints” to get notifications adjusted to your portfolio, seasonal events and country of residence. Currently, the company is conducting a three million Euro private sale of its TAX utility token. For each 0.10 Euro contributed during the private sale, participants will get 1.5 TAX token, including a 50 % private sale bonus. The company anticipates to raise up to a total of 12.5 million Euro through a public token offering later this year. In order to promote the token sale CEO Florian Wimmer is presenting Blockpit on pitching stages throughout Europe. Amongst other achievements, Blockpit is the pitch contest winner of crypto investor and influencer Ian Balina’s Paris Crypto World Tour stop. The token sale is available on https://tokensale.blockpit.io/ .